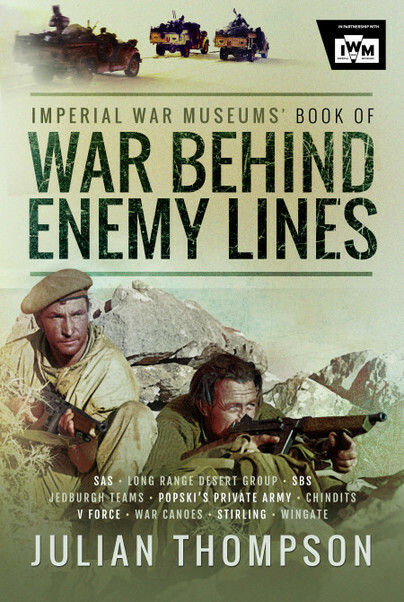 You'll be £10.00 closer to your next £10.00 credit when you purchase The Imperial War Museums' Book of War Behind Enemy Lines. What's this? In Burma, the Chindits, under the controversial Orde Wingate, conducted deep penetration patrols against the Japanese, suffering heavy casualties from enemy action and disease. Drawing on personal accounts as well as official records, the author paints a vivid picture of the operations and contribution of these and other units. He also analyses, using his own experience, the reasons for the resulting successes and failures. There is unlikely to be a more comprehensive and authoritative account of the ‘Golden Age of British Special Forces’. Books about special forces always prove popular and this one, about the many and various British special forces units of World War Two will be no exception. This 2018 edition is a new version of a book that was originally published in 1998 but, this hardback edition with its luxurious dust jacket, reeks of quality and should find a ready market.